Provides professionally trained and certified bar staff, with a minimum of five years experience. All our bartenders are uniformed in crisp black and white or all black. Provides consistent exceptional service to every client, both large and small. Portland Catering Company is a environmentally conscious company, we believe in a sustainable future. Is the only bartending service located throughout Oregon. Portland, Portland Metro, Salem, MT Hood, The Coast, The Gorge. Is permitted through the Oregon Liquor Control Commission (OLCC). We are not a “pop-up” business working from a cell phone, here today and gone tomorrow with your deposit. We have a fully staffed office, with regular business hours and a history of flawless service. Portland Beverage Catering service is the perfect complement to almost any large gathering that wants to provide drinks. There are rules and regulations for serving alcohol to large groups, and with our service, you won’t have to worry about figuring out the logistics and permits. Of course if your needs extend beyond just beverages our Portland Special Event Catering services, including Portland Wedding and Corporate Catering services will provide food, drink and the best service in town. From pre-selected menus of food and drinks to custom choices, our Portland Beverage Catering will complement your event perfectly. 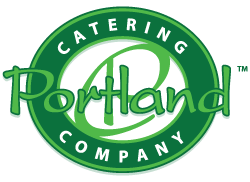 To inquire about beverage or food catering services, please call 503-620-8855 or email us at info@portlandcateringcompany.com. Our beer and wine hosted option includes domestic and micro brew selections along with two red wines choices and two white wine choices. Full of juicy hop aroma and flavor, Prismatic’s colorful hop experience is citrusy, tropical and fruity with a subtly sweet malt and a balanced finish. Notes of pineapple, passionfruit and guava excite and linger on the palate. Fruit flavored with exceptional quality and flavor. Barrel aged for 20 months. We understand the significance of every event that we are privileged to be associated with. That’s why we are proud to provide you with pleasant, punctual professionals who understand the nuances of unparalleled service. We encourage you to discover how our Captains, Waiters, Bartenders and Coat Check professionals can help make your upcoming event truly extraordinary.